There are some essential things that you need when you bring your baby home on his or her first day. 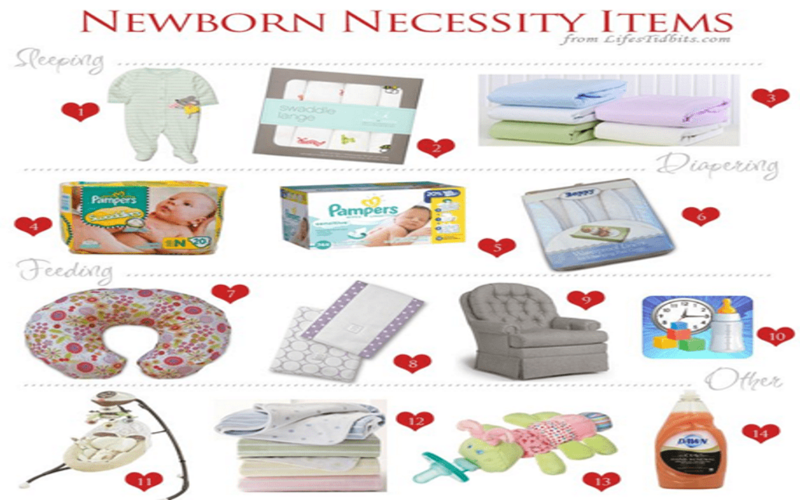 Your baby requires some basic items like a place to sleep, some diapers and some few items for eating While buying guides like those at BabyGoss are very helpful in the purchasing process, consider the actual items you will need first.. Below are some of the baby necessities that new moms should make sure that their child always has. As a new mom, you need to ensure that you provide your child with the best diaper changing pad. It’s actually a very important baby equipment that plays a major role in preventing any diaper leaks and also protects your child from any dirty surfaces. There are so many different styles of these diaper changing pads and it becomes quite difficult to pick the best one. The different types of diaper pads include travel diaper pads, disposable diaper changing pads and standard diaper changing pads. It’s very important to ensure that you have a good stash of diapers because you don’t want to run out of them at a very difficult time. Always try to stock up diapers of various sizes to ensure that your child has adequate supply of diapers. To ensure that you get the best comfort, ensure that the bras are made from cotton and they shouldn’t have any underwire. They come in different styles and some unsnap between cups while others unhook from the strap. These pads come in both disposable styles and cloth. For disposable ones, always ensure that you get the ones with a self-stick strip. These swaddle blankets are very important because they mainly try to mimic the way which babies feel when they’re in the womb. The blankets are therefore very comfortable for the newborns. Buy two swaddle blankets so that when one has been washed, the other one is always ready for the baby. Wipes are very important for new moms and you can either choose to use reusable wipes or disposable ones. It’s very important to always ensure that you have plenty of these wipes because you will definitely use them a lot throughout the day. You need to always wipe your hands each time that you change diapers or just before feeding your child. As a new mom, you need very many items like blankets, diapers, tote bottles, toys and also different outfits for your child. This means that you need a good bag to carry all of these items at ease. You should consider getting the Petunia Pickle Bottom bag which costs approximately $189. This bag will ensure that you’re always ready and organized for anything. It also ensures that you have all the requirements that your baby needs to get the best care. It’s worth noting down that not all strollers are the same and they actually come in different designs. Some possess a sheer drudgery when pushing but they’re actually very compact. The only way to ensure that you get the best stroller is by going to the nearest store and testing each stroller until you get the best one. You can also try to fold the stroller so as to ensure that it can easily fit in your car and to also test the time required to put the stroller away. It’s very difficult to take a break when you’re taking care of your baby. Getting a bathroom break is also quite difficult and using a mobile becomes the only option that you have. A mobile can buy you some extra minutes to do some stuff and it can also sing a lullaby for your child until he or she sleeps. You can get a high quality mobile for as little as $50. It’s against the law to drive a car with a child without a car seat. Even when you’re on your way back home from the hospital, it’s very important for you to get a car seat for your baby. You can purchase a rear facing seat for your infant that can be used until your baby weighs approximately 20 pounds. You can also buy a convertible seat that can face front or rear. The convertible seat can be used by both older children and babies. These are some of the necessities that new moms should always try to get for their babies to ensure that they always provide high quality care for them. If you’re having some problems getting some of these items, you can visit themamaneeds.com to get assistance from qualified professionals.